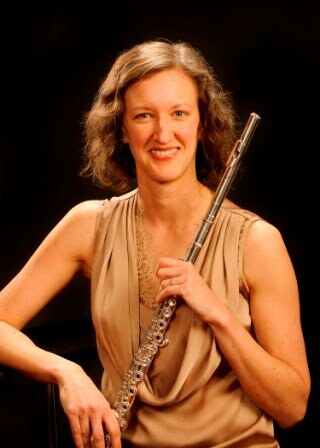 Nicole Riner, flutist: Get organized! Life is so busy and stressful this time of year, with all the added Nutcracker performances, papers to grade or write, make-up lessons that have built up throughout the term, and final performances of the term. Oh, what am I saying? Life is always busy and stressful as a musician, and if you don't learn to control your schedule and compartmentalize your thinking, you will always feel like you're drowning. But if you create good habits that you can stick to and maybe take advantage of technology to help you, things can always be manageable. There are so many brilliant apps to make getting organized a fun game! Evernote allows you to create lists, take snapshots, record audio and set reminders all in one place and across all your devices. It's cross-platform and shareable, too. Google Docs is great for group projects and working from various technology (including the business center at the Holiday Inn) on the go. It allows you to create Word documents, spreadsheets, surveys and other forms, and slide shows, share with collaborators or as read-only links, and download in multiple formats. Google calendar/Microsoft calendar/Apple calendar allow you to add links, maps, detailed notes, reminders, and share. There are dozens of other calendars, too, and here they all are separated by their best features. Create habits for immediately filing, entering data, etc. so you don't lose things or forget information. For instance, add repertoire to your repertoire list and accomplishments to your resume as soon as they are completed so you don't get behind. Organize materials by subject and/or musical "job" in separate binders, folders, or something easy to file. You can keep a binder with orchestral parts for auditions, another one with supplementary scales and other technical patterns, etc. Label each clearly on the spine so you can quickly grab what you need on your way out the door. Set aside time every week to do administrative tasks that have built up--answer emails and voice mails, write your blog post, send in your conference proposal, etc. Don't let your inbox sit cluttered for too long, or it will be stressful every time you open it. Consider this hour or so a week your time to complete relatively mindless tasks and avoid the albatross of procrastination. Whether your trips involve plane rides, last-minute overnight stays, or just a swap from book bag to gig bag for orchestra rehearsal, you are far less likely to forget the things you can't live without if they're already semi-packed. Keep a "grab bag" with all the stuff you might need in a hurry; a gig bag might have music, instrument, accessories, etc., which you always replace to that bag as soon as you're done using them at home. An overnight bag will have things like trials sizes of essential toiletries, a spare set of pjs, and packets of oatmeal and coffee if you're on the road a lot (don't forget a spoon). For out of town trips, I usually find that my Google calendar with details filled in is all I need (and it's already on my phone), but many people like Trip It, which allows you to organize the details of your itinerary and share with others. Meditate. Quieting the mind is a crucial skill, but it takes a lot of practice (kind of like Chant de Linos) Aro Meditation is a great free, secular meditation course that sends you an email every week with a subject and guide for your meditation. Counseling. If you can't get control of your insecure, negative, or angry thoughts, get some help. You cannot do this (or anything else) happily and successfully until you take care of your baggage. And if you feel shame at the thought of seeing a counselor, get over it. Everyone struggles at times.